Dr. Andrea Lynn Boucher (affectionately known as Dr. Andrea) is known for her silly mannerisms, energy and her youthful vibe. Her natural connection with children along with her passion for healthcare and science is what led her to find a career in pediatric dentistry. She feels that her mission is to educate her patients through fun, interactive ways that not only creates a positive impression about coming to the dentist, but also teaches them the bigger picture of dentistry. This means a healthy smile equals a healthy you! Dr. Andrea has completed her training here locally at the reputable Nova Southeastern University (NSU) in Davie. This includes her Bachelor’s degree in Biology, her Doctorate of Dental Medicine degree at the NSU College of Dental Medicine, and her 24 month Pediatric Dentistry Specialty degree at NSU and Joe DiMaggio Children’s Hospital in Hollywood, FL. Dr. Andrea also completed a one year General Practice Dental Residency at Faxton St. Luke’s Healthcare hospital in Utica, NY. 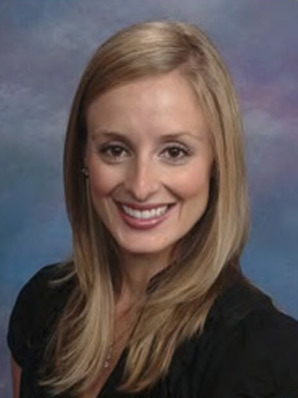 She is a proud diplomate with the American Board of Pediatric Dentists, a member of the American Academy of Pediatric Dentistry (AAPD), American Dental Association (ADA), and local dental associations as well. She has participated in community outreach and international programs, including a Cranial-Facial dental mission trip to Nicaragua. Originally from Montreal, Canada; Dr. Andrea traded in her ice skates for sandy beaches when she was a teenager as her family moved to South Florida. Her other passions stem from being a competitive gymnast growing up. She incorporates fitness into her daily life and her current goals include becoming a certified yoga instructor and entering future Spartan races. She lives in Plantation and enjoys spending time with her close family and friends. She is delighted to come to work every day and bring smiles to her patients!